Prince Christopher of Greece and Denmark and Princess Francoise of Orleans, were married this evening in a civil ceremony at the Orleans Palace in Palermo. The wedding was conducted by the Podesta of Palermo. The bride's witnesses were the former King Manoel of Portugal, the Duke of Aosta, brother of the King of Italy. The bridegroom had as his witnesses Crown Prince Umberto of Italy and former King George II of the Hellenes. The same witnesses will serve tomorrow at the religious wedding at the Palatine Chapel. 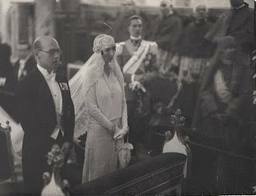 The civil wedding was followed by a dinner for more "royalty and blue blood of Europe than had been assembled since the wedding of the bride's younger sister, Anne, to the Duke of Apulia at Naples on November 5, 1927." The bride was given away by her father, the "tall Duke of Guise," who is the "heir of the Kings who in a thousand years made France." Others in the wedding party include Francoise's aunt, Helene, the Duchess of Aosta and her son, the Duke of Apulia. Francoise's elder sister, Isabelle, who is married to Count Bruno d'Hartcourt, was unable to attend the wedding as she recently gave birth to a child. Other royal guests included former queen Amelie of Portugal, former Queen Elizabeth of Greece, Prince Nicholas of Greece, Princess Margarita, and Princess Theodora of Greece, Princess Irene of Greece and Queen Helen of Roumania; Infanta Isabel of Spain, Prince Knud of Denmark,Prince and Princess Viggo of Denmark, Prince and Princess Olga of Yugoslavia and Count and Countess d'Orleans-Chaponay. Most of the royal guests are staying at the Orleans villa and the larger Palermo hotels. There has been "a constant interchange of receptions and dinners with the Sicilian nobility." But owing to the recent death of the Queen Mother of Spain and the "subsequent court mourning ordered decreed by King Victor Emmanuel, the festivities tonight and tomorrow were considerably curtailed." Instead of a procession from the palace to the Palatine chapel tomorrow, the guests will travel by limousines. Yesterday it was cold and rainy in Palermo, but today it was sunny. Palermo was decorated with flags in honor of the Crown Prince, who arrived at the railway station with the Duke of Aosta. On their ride to the palace, they were met by cheering crowds "who pelted them with flowers. 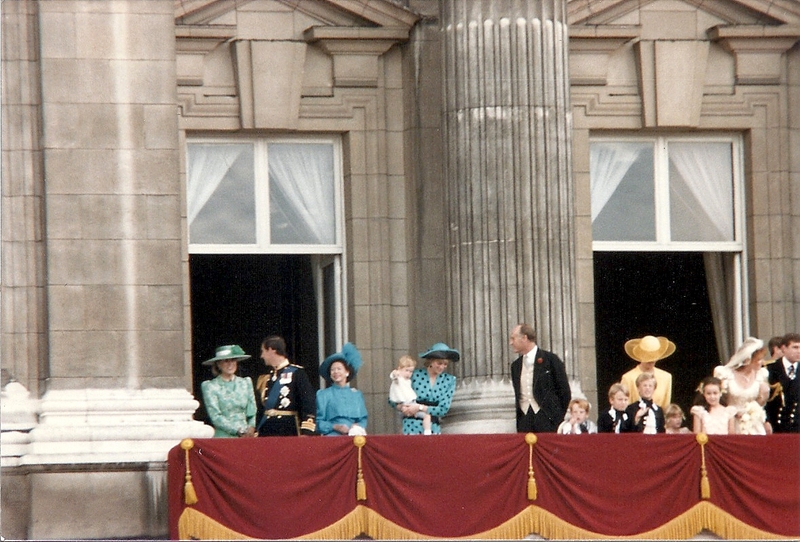 Umberto "was called to the palace balcony several times to bow to the crowd." This is not the first marriage between the two royal families. Christopher's uncle, Prince Waldemar of Denmark, was married to Princess Marie of Orleans, a cousin of the Duke of Guise. Christopher, who is considerably older than his wife, was born in St. Petersburg, Russia, in July 1888. On February 1, 1920, he married the late Mrs.William B Leeds, a wealthy widow from Cleveland, Ohio. She was created Princess Anastasia in her own right, and she died in London in August 1923. The couple had no children. Princess Francoise Isabelle Louise Marie was born in Paris on Christmas Day, 1902. She "received the traditional education of a daughter of the French nobility," and is said to be fluent in English, Italian and Spanish. Will Carol return to Romania? Grand Duke Serge blown to pieces! KIng Alfonso keeps up "desperate fight"
Karl and Zita to divorce? Did Prince Affie take his own life? Luxembourg Grand Duchess a"voluntary prisoner"